This is my favorite way to eat meatloaf. 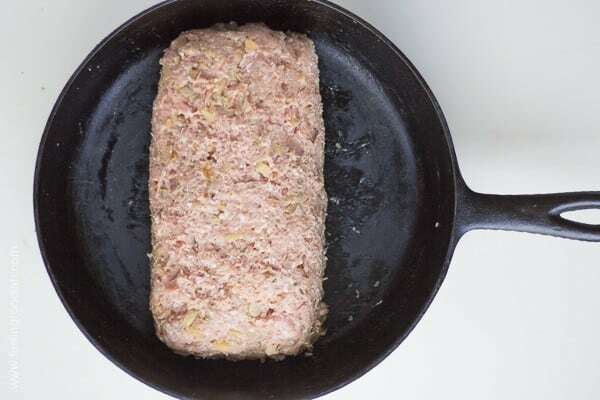 Have you ever tried apple turkey meatloaf? Even the kids love it and they aren’t big meatloaf fans. The recipe is based on the famous Oprah turkey burger, which she declared the best turkey burger in the world! Who am I to argue with her? I’m pretty sure she’s tried many more turkey burgers at various locales world-wide compared to me. Now that would be a fun road trip, wouldn’t it? 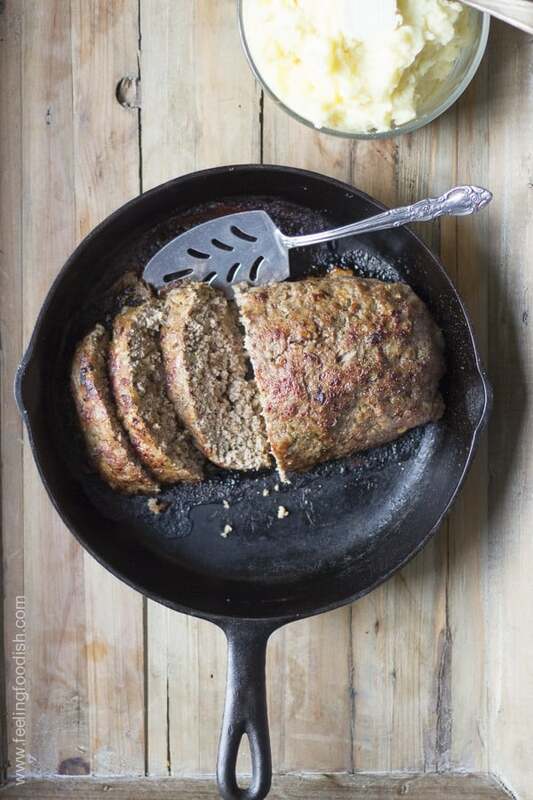 It’s a relatively easy meatloaf to make and is a perfect part of a comfort meal. 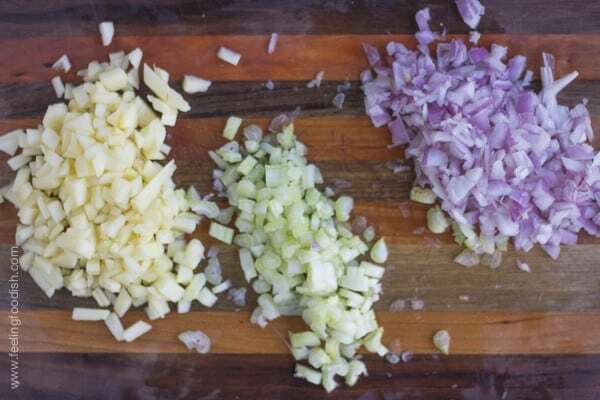 Begin by chopping up onion (I used red onions, but other types will do), celery, and apple. Saute this mixture along with some garlic until softened and then let cool. Bake it in the oven until the internal temperature reads 165 and then let sit for about 5 to 10 minutes before slicing. Heat a large saute pan over medium high heat and add 1 tablespoon oil, onion, celery, apple, and garlic. 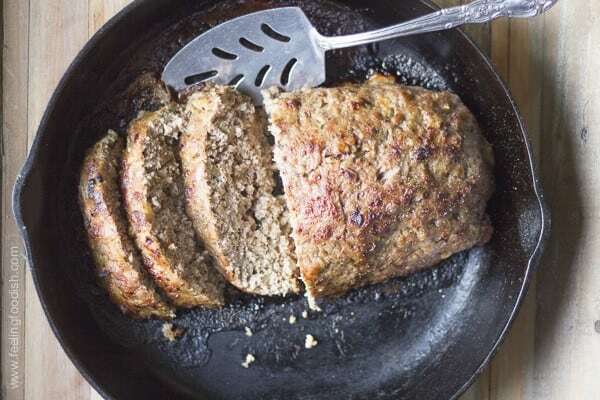 Does this meatloaf not require any egg and breadcrumbs??? Confused there. 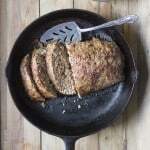 It does not – however, it is not what I would consider a super firm meatloaf (see photo of the meatloaf in the cast iron pan). I love meatloaf and I’ve never had one that sounds as good as this one does!